Many people think of headaches as a minor condition and don’t feel that headaches call for the attention of a healthcare professional. It’s much easier to take some sort of pain killer and call it a day. What may people don’t understand is that while the pain killer addresses the pain it does not address the actual cause of the headaches. Headaches can be an indication of other more serious health problems and should not be taken lightly. 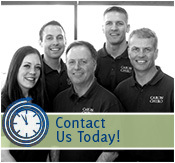 Chiropractors have an excellent track record of detecting and treating the cause of headache pain. Because chiropractic concentrates on the cause of the headaches it is a much more effective and healthy alternative to pain medication. It has been proven that chiropractic care is at least as effective as, if not more effective than, pain killers in the treatment of chronic headaches. Headaches are a condition that can potentially negatively affect your quality of life. Constant headaches may indicate larger health problems. Headaches can be treated very effectively through chiropractic care. 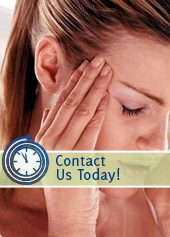 If you or someone you know suffers from persistent headaches, please contact our office right away for an appointment.